It really would help if the championship contenders formed an orderly queue behind Nico Rosberg rather than tripping over each other. China saw a sixth straight win for Rosberg, as he became the fourth driver in history, and the third German, to achieve such a feat. But he knows better than anyone that the fight is far from over, so long as the chasing pack can cobble together some consistency, reliability and even a little luck. The Aussie’s self-proclaimed “best race of his career” kept up his stunning run of form as he rescued a third successive fourth place. After turn one Ricciardo looked odds on to secure a first podium since Singapore last year as he made a lightning getaway to exploit Mercedes’ poor starts so far this year, as well as Nico Rosberg’s tactical decision to start the race on the soft tyres. Ricciardo was in the lead into the first corner, avoiding a half-hearted chop from Rosberg and the chaos behind caused by the two Ferraris. The critical element of Ricciardo’s race was always going to be how far he could go in the first stint, especially if he could hold the Mercedes behind him, with the rest of the top ten also running a short first stint on supersofts. Unfortunately for the Red Bull man, his stint was cut short as a left rear puncture forced him in at the end of lap 3, luckily only having to nurse the car through the final sector, back to the pits. Ironically, Ricciardo’s misfortune brought the front runners, Vettel, Räikkönen & Hamilton, who had been involved in the first corner melee back into play as the safety car was brought out to remove debris. Regardless, when the safety car came in at the end of lap eight, Ricciardo had it all to do from 17th, but with slightly fresher soft tyres the Aussie could push and climb up the field. By lap 11 he was already back up to 12th, passing Magnussen, Ericsson, Haryanto, Hülkenberg and Palmer and suddenly points were a possibility if he could get the strategy right. 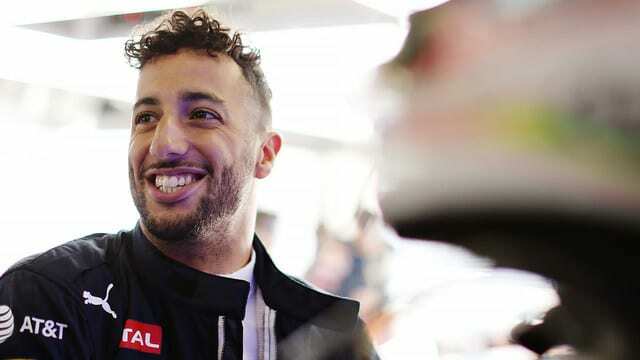 By the time Ricciardo fitted a second set of soft tyres on lap 19 he was up to seventh as those who had started on softs pitted for fresh rubber. With the Williams running a contrary strategy Ricciardo had to push and take advantage of clear air when he had it and exited his final stop in eighth on fresher, medium tyres, giving the Aussie all the ammo he needed to mount an assault on the cars ahead. He easily dispatched Bottas, before chasing down the battling Massa and Hamilton, the Brit recovering from his own calamities earlier in the race. A precise move at turn five got Ricciardo past Hamilton, and Massa was equally defenceless later on lap 43. 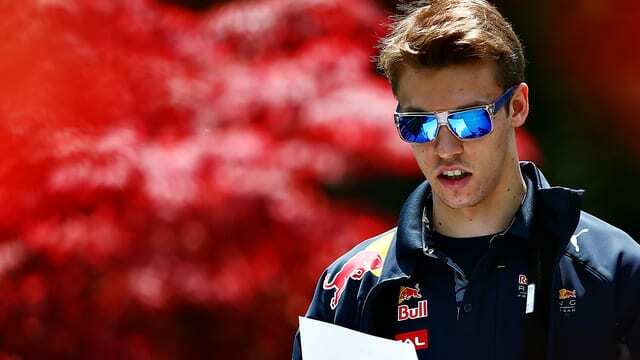 The podium was out of reach with Kvyat 17 seconds up the road and Ricciardo’s valiant comeback was complete. As impressive as Ricciardo’s recovery was, he exhibited his raw speed on Saturday, taking advantage of others’ errors and issues to secure second on the grid, putting a clean, fast lap in when it counted at the end of Q3 to beat the Ferraris and Williams and qualify half a second off Rosberg’s scintillating time. Rarely do I single out drivers beaten by their teammate for this award but Ricciardo battled back from a puncture with a controlled yet merciless drive. As happy as he was with his recovery to score 12 points, I’m sure he is curious what might have been had he not had his puncture. With all the big guns bar Rosberg tripping over themselves, the Aussie looked very good for second, and with the Red Bull chassis looking better and better, maybe he could have taken a fight to the championship leader. Regardless, third in the championship, best of the rest behind the Mercedes is a spectacular start to the season, especially given Red Bull’s tumultuous, uncertain winter. Ricciardo took the plaudits from China but Daniil Kvyat’s drive shouldn’t go unnoticed given the circumstances. With Helmut Marko, and particularly Max Verstappen heaping pressure on the young Russian, Kvyat stepped up his game in Shanghai. Kvyat qualified sixth, a good time within range of Vettel and Bottas, but overlooked after Ricciardo’s heroics had him on the front row, half a second quicker than his teammate. After his qualifying struggles in the opening two rounds, a third row start gave Kvyat a platform to attack and that was evident with a bold (but completely fair) move in to turn one, scaring Vettel into his teammate and launching the Russian up to third. With the safety car out, Kvyat pitted a lap after his teammate and ran a very similar Supersoft-Soft-Soft-Medium three stop strategy, but with the benefit of track position, Kvyat was able to compete for the podium. Instead of being 17th at the restart he was sixth. But he too needed to overtake to make his strategy work, passing Gutiérrez, Wehrlein and Alonso on lap nine, moving back up to third behind Rosberg and Massa. Kvyat followed Massa for three laps before getting past and then had a race monitoring lap times to stop himself getting sucked into the battles behind. The only problem Kvyat had all race was losing out to Vettel, who appeared desperate for revenge for the first corner, gifting second to the Ferrari, but he was able to stay with the German on the medium tyres during his final stint with Vettel confident enough in his tyre conservation to opt for softs for his final stint. Nevertheless, finishing within eight seconds of Ferrari was a good return for Kvyat, and if he can maintain this form, he may yet get another year at Red Bull. One final point, while Red Bull appeared to take a big leap in the development race in China, Ferrari have a clear advantage on tyre preservation, able to run a similar strategy on softer tyres (Supersoft-Supersoft-Soft-Soft) than the Red Bulls. 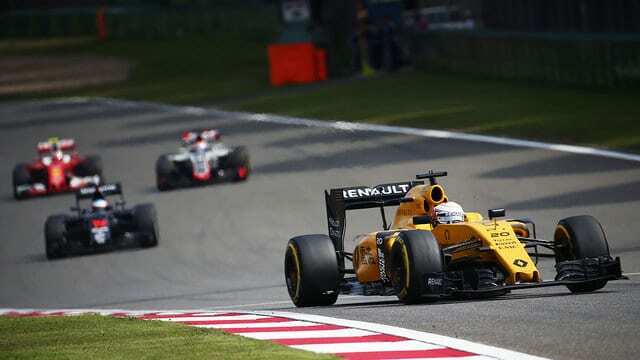 While the Chinese GP was far from Renault’s finest, as they slump towards Manor at the back of the field, Kevin Magnussen continues to justify his place in F1, putting rookie teammate Jolyon Palmer in the shade in China. Despite failing to set a lap in the dry during practice after a suspension failure on Friday morning curtailed both sessions, K-Mag was Renault’s best hope for points in a chaotic GP. The Dane used all of his experience in qualifying, beating teammate Palmer by almost a second and missing the Q2 cut by just two hundredths of a second. Magnussen made starting on the supersofts work, pitting with the pack on lap four having moved up to 13th in the hectic first few laps but was 16th for the restart following his stop. As the big guns languishing at the back made their way through the pack, Magnussen dropped to 20th, behind Ricciardo, Räikkönen, Hamilton and Verstappen, but the Danes’ strategy then started to play out and Magnussen was back up to 14th before fitting a second set of soft tyres on lap 20. With Renault struggling for pace all weekend, Magnussen did a stellar job competing in the midfield but dropped to last after his final stop for the medium tyre on lap 36. His final stint was impressive though, rising up the order past Palmer, Haryanto, Nasr, Grosjean and Wehrlein to finish 17th, almost 40 seconds ahead of his teammate. It may not sound like much but Magnussen got the most out of his car in China, with very little running to set the car up. This Renault is dropping down the field like a ton of bricks and Red Bull’s strong showing with the same engine show what impact last season’s financial struggles have had on their chassis development. 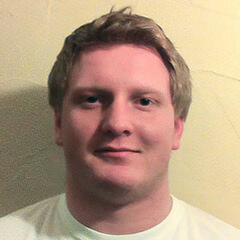 But if they can get through this, they have at least one driver who can return the glory days to Enstone and Renault.